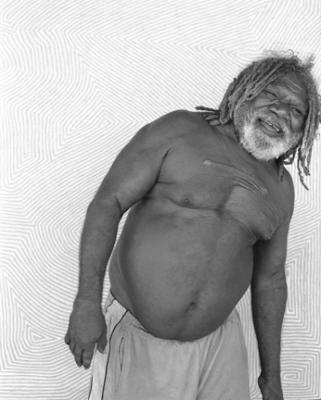 George Tjungarrayi was born around 1947 in the bush west of Kiwirkurra in Pintupi country. 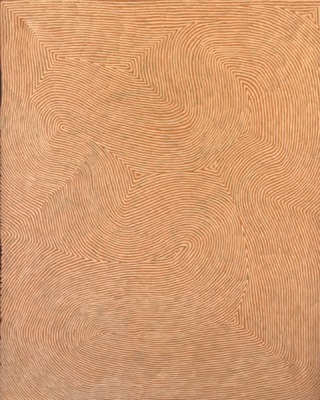 He started painting for Papunya Tula Artists in 1976 and has since developed into one of the master painters of contemporary Pintupi art. 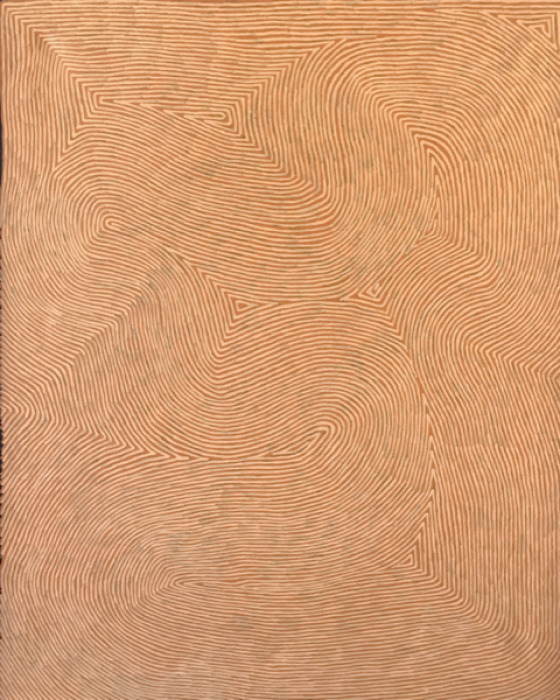 George’s style is characterized by fine lines and beautiful geometric patterns with which he depicts the traditional Tingari Cycle, a collection of religious s . . .